Once you have a good feel for what you want and what brand you’re looking for, decide how much you are willing to pay. You can get a feel for what prices look like by visiting GPAutos. Keep in mind that you can usually bargain the prices down once you find a car you like. It is highly recommended that you have any vehicle checked by a mechanic. Especially if it’s used, this can save you a lot of time at the mechanic’s later. Ask around for a good mechanic from among the locals and you’ll find that it’s normal here for a used vehicle to visit the mechanic’s for a check before it’s purchased. Have a trusted mechanic check the vehicle. ASK THE MECHANIC QUESTIONS! 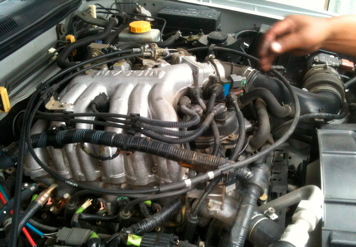 Use this time to ask about cost of changing spark plugs, oil, breaks, and cost for anything that needs fixed. Also ask how much the mechanic thinks is a good price for this vehicle and if it would serve well where you’re going to be using it most. (BE WARE that some mechanics won’t talk candidly with you unless you are not in front of the vehicle owner. Get a private moment with the mechanic to get their real opinion. Some mechanic’s do this car check for free (rare) while others charge from Q40 to Q250 for this service. Ask before hand so you know what you’re getting into! So you’ve found “THE” car! Great! Now you need to negotiate a good price. Since this is Guatemala, it really helps if you speak Spanish. If you don’t get someone who can translate for you to help you out. Start low and build up to our ultimate price. For example. if the seller initially asked for Q70,000 you can ask what’s the best price he’ll give you. I did this once and received an immediate discount to Q55,000. That’s the real asking price, but is still negotiable. You may then make a low ball offer and gradually work your way up to your final price especially if you see them coming down a little. This takes some work but with some practice you can get a good feel for this. TIP: I often ask the mechanic who checked the vehicle how much he thinks would be a good price for the vehicle so I have a good idea of what it’s actually worth. Checking on GPAutos is also a good idea because you can compare your favorite with others that are similar. Once you settle on a price, the paperwork begins. NOTE: U.S. dollars in cash are not king here. Most banks here have limits on how many U.S. cash dollars they will exchange from one individual per month. (Often about $2,000) So, if you have an account at a bank here, it’s best to deposit by checks or to gradually deposit your cash before the purchase. If you try to go over the limit, they’ll often reduce the rate of exchange so you’ll lose out on money. You can also ask the seller if they’ll accept U.S. cash at a good exchange rate. If you have not done it yet, ask if the owner has the title in his/her name. If they say “yes!” that’s great and will simplify things. If they say that everything is in order, then it probably means that it’s not in their name but they’ve got copies of the owner’s ID so you can have the paperwork done. 1. Is the vehicle title in your name? If it’s not a dealer, you’ll probably want a tramitador to help with the paper. Ask around before you start negotiating so you can recommend a tramitador whom you trust at this point. The tramitador will check the papers to make sure all is in order. They can help you walk through this process. Once all is set on the paperwork, proceed to pay for the vehicle. This entry was posted in Guatemala, Paperwork, Resources, Saving money, Travel and tagged buying, car, Guatemala, how to buy a car in Guatemala, process, purchase, vehicle by michaelshead. Bookmark the permalink. So how much did you pay for the vehicle in the picture if you don’t mind me asking? Is it a 4×4? We are moving there on June 16, 2012 and I have found your website to have the MOST helpful information on it. Especially about residency. Thanks!!! Thanks for your kind comments! 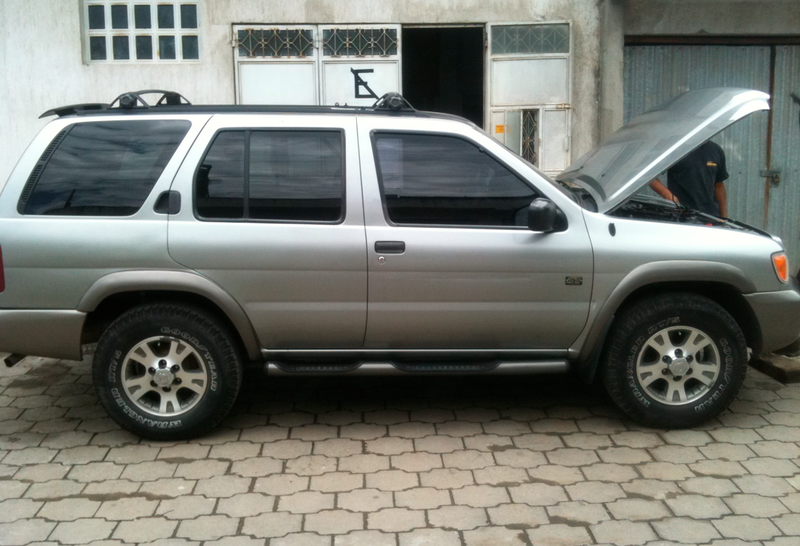 We got this 4×4 Pathfinder for under US$7,000. Do you need proof of permanent residence in order to buy a car and have it licenced? dusty; 1) What about auto ins in Guate? 2) What about big lots such as autounion.com? 3) Did you buy your pathfinder from a dealer or an individual? We are living in Panajachel and so are somewhat limited in the traveling we can do. Ray, We bought from a regular individual seller in Xela. Certainly check out the big lots in the city, I just don’t have any experience with them. 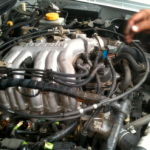 If you’re a missionary, check out the Intermissions e-mail list for people selling vehicles. We didn’t have all that when we bought our vehicle. The key is to get your NIT number from SAT. However to get a Guatemalan driver’s license is quite a trip if you don’t have your residency and DPI yet.